The Kentucky Republican was asked Tuesday about freshman Rep. Ilhan Omar’s comment last week that suggested Israel’s supporters are pushing lawmakers to pledge “allegiance” to the Jewish state. In response, House Democrats are expected this week to present a resolution condemning anti-Semitism. McConnell noted that the Senate last month passed a provision that would let states penalize businesses that take part in boycotts or divestments of Israel. Rep. Alexandria Ocasio-Cortez is giving a fellow freshman a boost in the party’s increasingly bitter split over Israel. The New York Democrat tweeted Tuesday about her party’s leaders and their plan to rebuke Rep. Ilhan Omar for suggesting that supporters of Israel pledge “allegiance to a foreign country.” The House is expected to vote on a resolution condemning anti-Semitism on Wednesday. 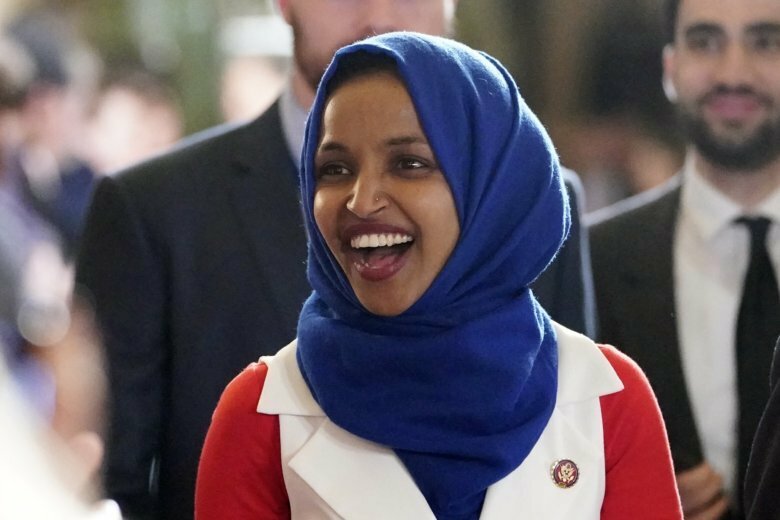 Omar, a Minnesota Democrat, has apologized for previous comments about Israel, but she’s not apologizing for the statement that reminded many members of Congress of a Jewish trope about having split loyalties. Republicans have demanded that she be stripped of her seat on the House Foreign Affairs Committee. President Donald Trump says Democrat Rep. Ilhan Omar’s newest remarks about Israel mark a ‘dark day’ for the Jewish state. He tweeted as House Democrats were preparing a resolution for Wednesday declaring that the House opposes anti-Semitism and bigotry. The measure is part of the Democrats’ pushback against Omar for suggesting last week that American supporters of Israel have conflicted allegiances. The House is expected to vote on the resolution Wednesday.